Cobra, well renowned for its radar detectors, is showing off their latest Android and iOS enabled accessories that were originally announced at CTIA last year. For those unfamiliar with radar detectors, drivers use these gadgets to avoid speeding tickets when being monitored. While most common radar detectors are standalone devices, Cobra takes the technology to a whole new level by taking advantage of today’s generation of smart phones. When the iRadar gets paired with a smart phone via Bluetooth, the touch screen interface becomes the control center for configuring the device and viewing alerts. 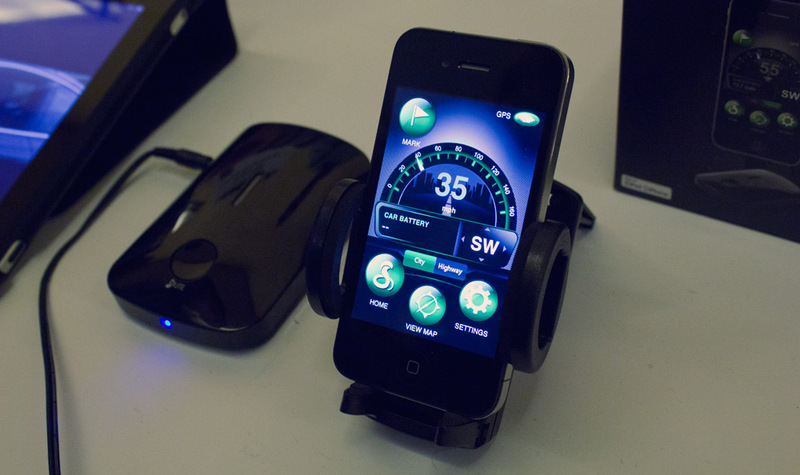 Although Cobra charges for the hardware, the app for iOS and Android devices is entirely free. 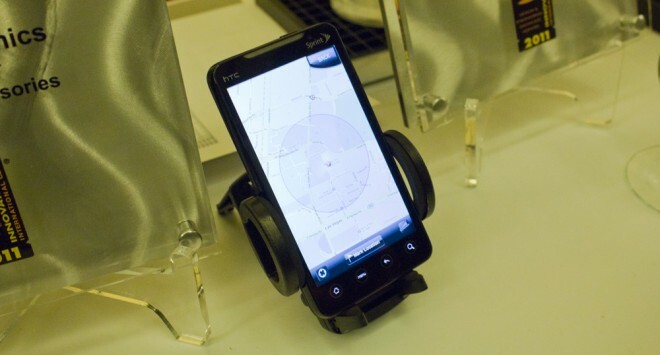 For those wondering, the iRadar also works as a standalone device, but with limited functionality. Unlike older radar detectors which solely rely on detecting laser signals are in its line of sight, the iRadar sports a comprehensive daily updated list of hazard locations. Your smart phone’s 3G data connection delivers these updates constantly. Cobra allows users to flag locations to help improve their ever-growing database. For those looking to replace their last generation radar detector, the iRadar retails for $169. While the Android iteration won’t hit store shelves until March, the iOS version is already available. We will try to get our hands on a unit for a full review after we are back from CES 2011, so stay tuned.